When winter finally starts dumping snow and ice on roads, cities fight back by spreading tons of salt to melt the slippery hazard. But what if roads already had salt built right into them? They’d be able to prevent slick conditions from occurring, well before the risk of an accident. A team of researchers from Koc University in Turkey mixed salt potassium formate—which has already been studied as a potential eco-friendly deicer—with a water-repelling polymer called styrene-butadiene-styrene. That mixture was then added to bitumen—a key ingredient in asphalt—resulting in a material that was still strong and durable, but had the added ability of preventing ice from forming. 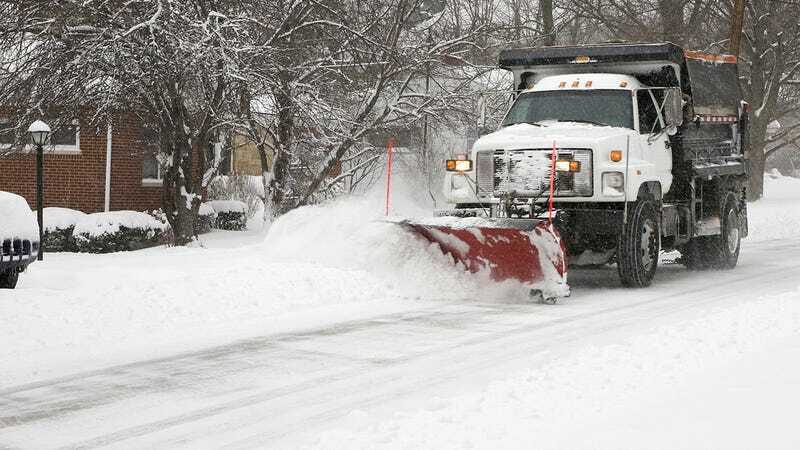 In lab tests, the new asphalt mix released ice melting salts for almost two solid months, but in real world applications that could easily be stretched to years because the vehicles driving on the material would slowly wear it away, revealing salt-dense layers beneath. It sounds like a car would be subject to the rigors of salt and corrosion all year round as a result, but that’s arguably better than sliding into another vehicle on a cold snowy morning before the plows have worked their magic.